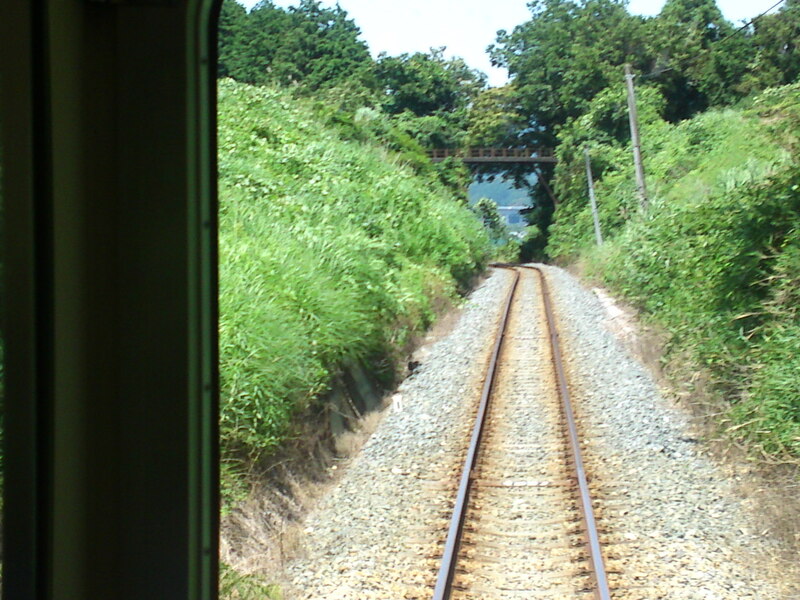 1) Along the Tenhama Railway Line! 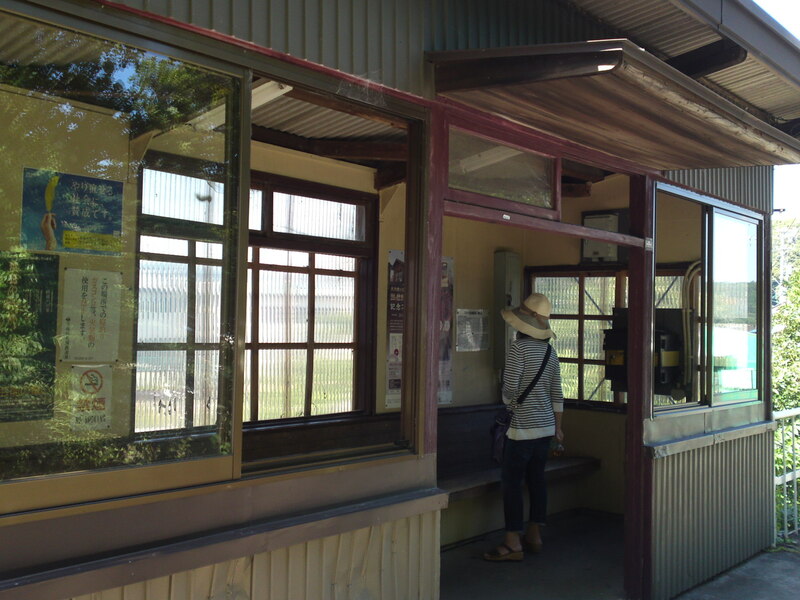 When it comes to visit Shizuoka Prefecture off the beaten tracks the both simplest and most pleasurable way to do it at leisure is to board one of the half-dozen private railway lines or four regional tracks that cross our region in all directions. 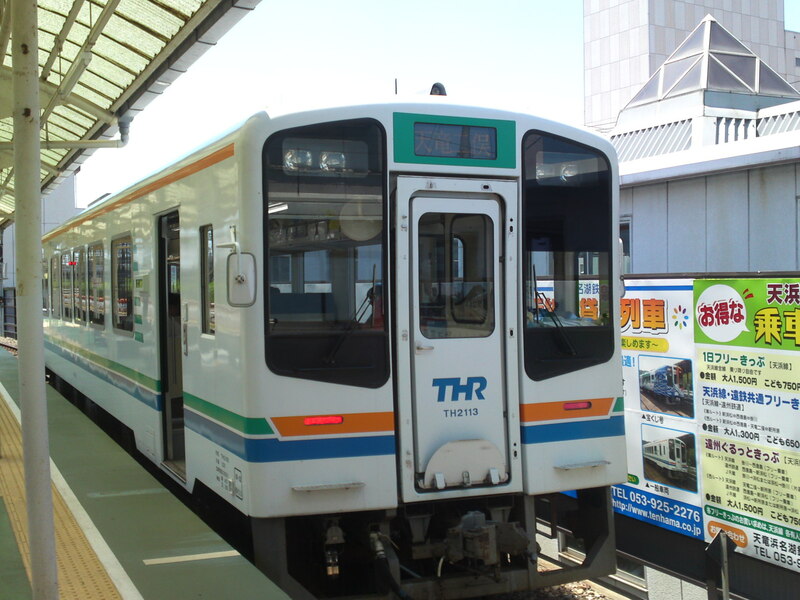 The Tenhama/天浜線 runs from Kakegawa Station halfway between Shizuoka City and Hamamatsu city to Shinjyobara/新所原, the last station in Western Shizuoka. 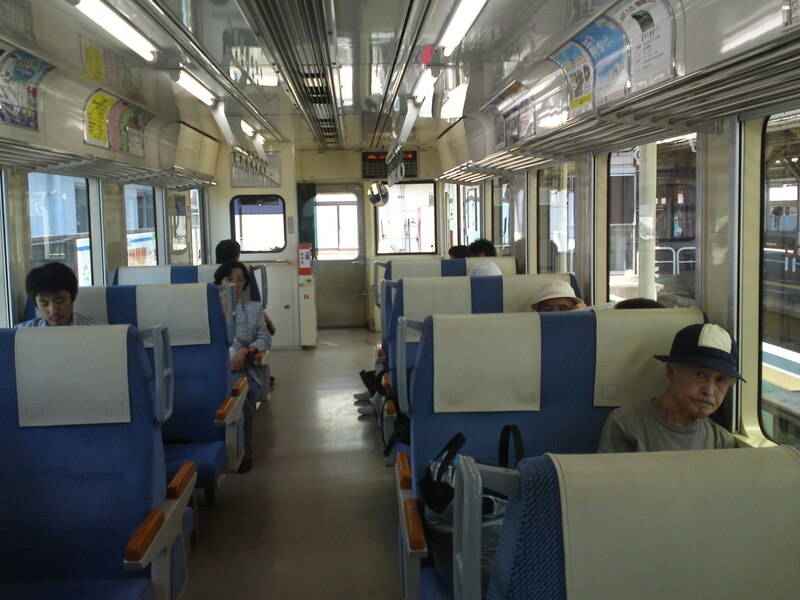 This is our train, a single-carriage affair, fairly comfortable and properly air-conditioned! 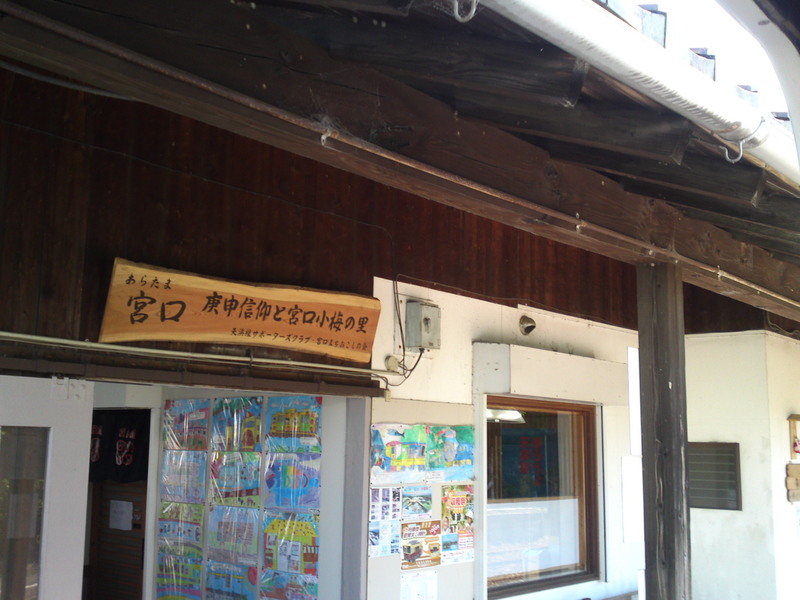 A view of the inside! 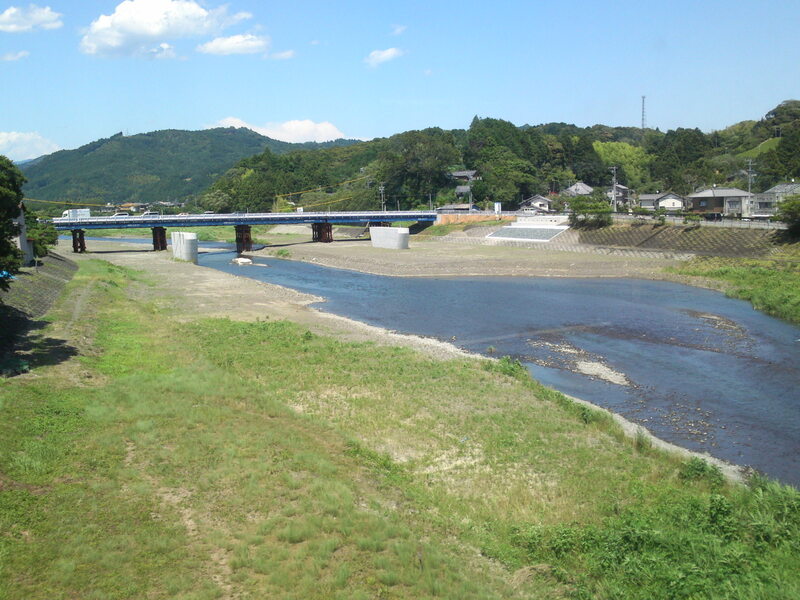 Don’t be misled, it is full at some times of the day with students and commuters as this is the only railway going around across the Tenryu River/天竜川 and Lake Hamana/浜名湖! 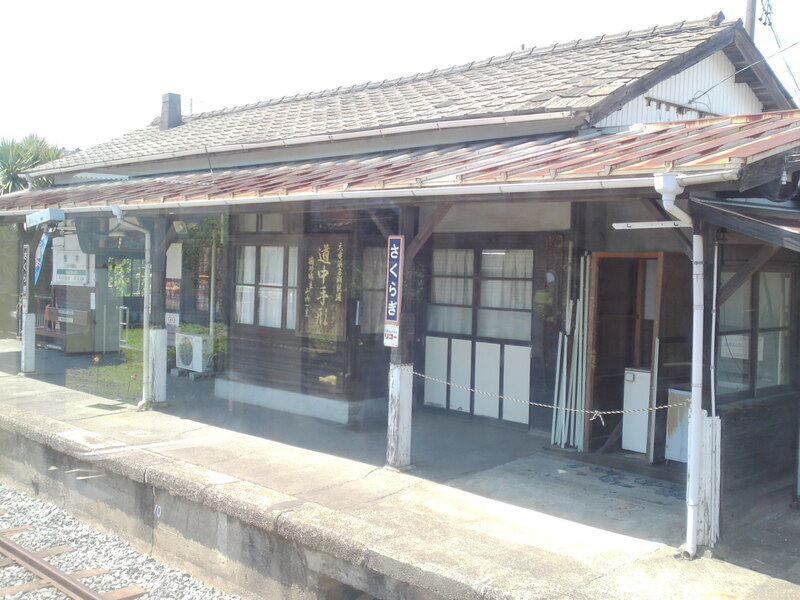 Now, there are lots of pictures to be taken as no less than 11 stations have been nominated Shizuoka Cultural Property/静岡県文化財! 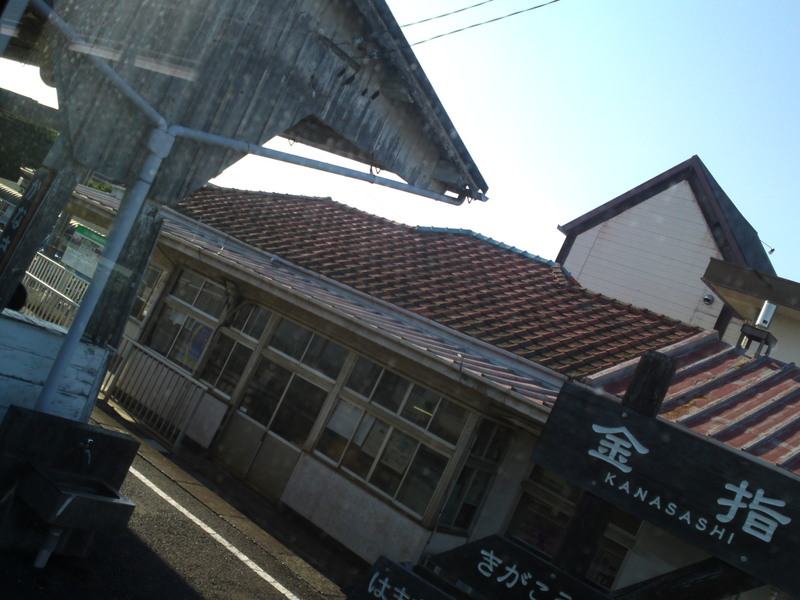 The first one is Sakuragi Station/桜気駅! 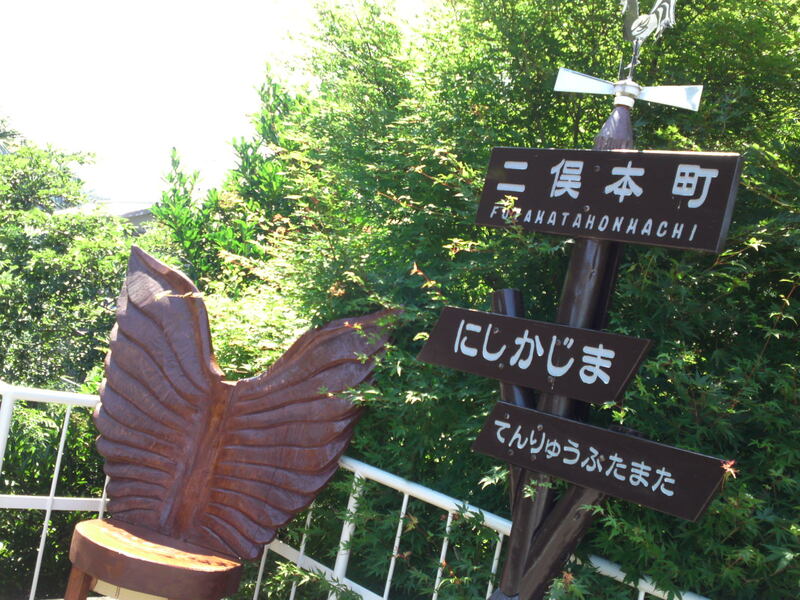 Also keep in mind that the trip is worth doing at any time or season ofthe year as you are travelling the Shizuoka “outback”! 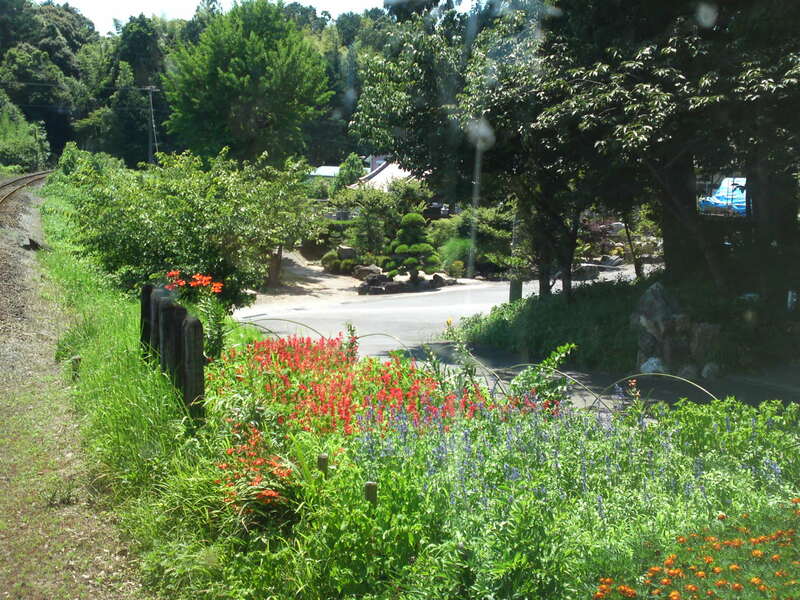 A local stream whose name I couldn’t find! 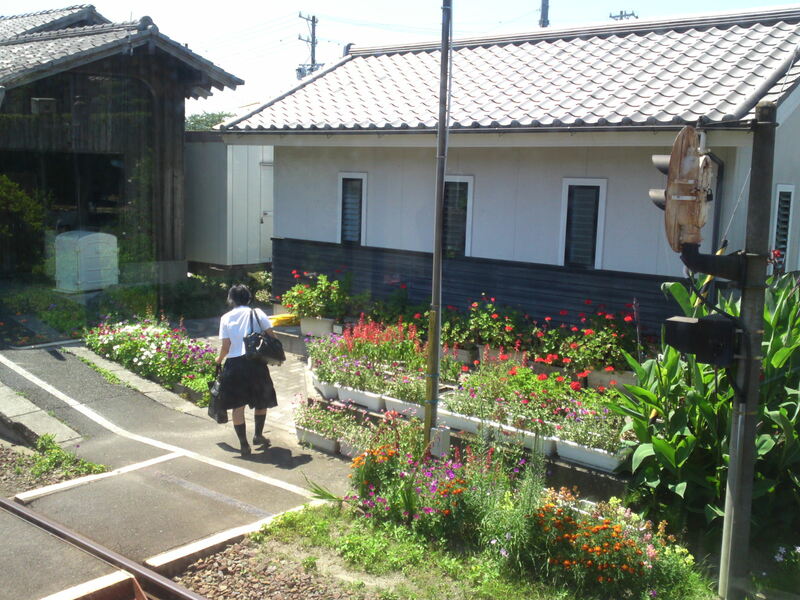 Plenty of flowers in gardens along the track! 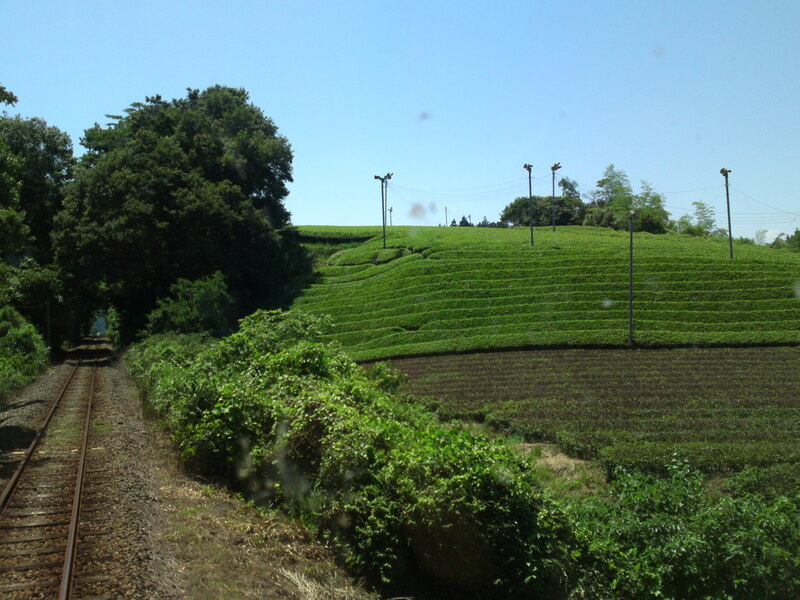 This is also green tea country! 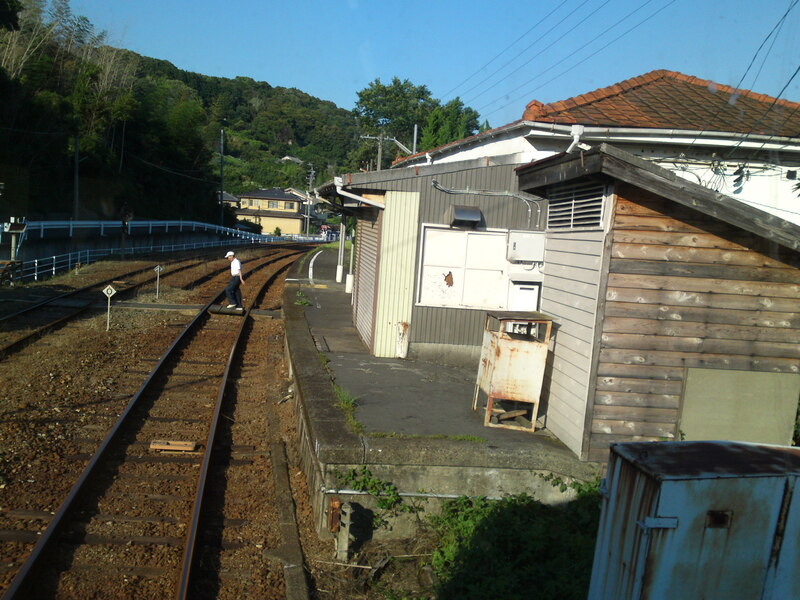 A local high school student going through the cute station exit! 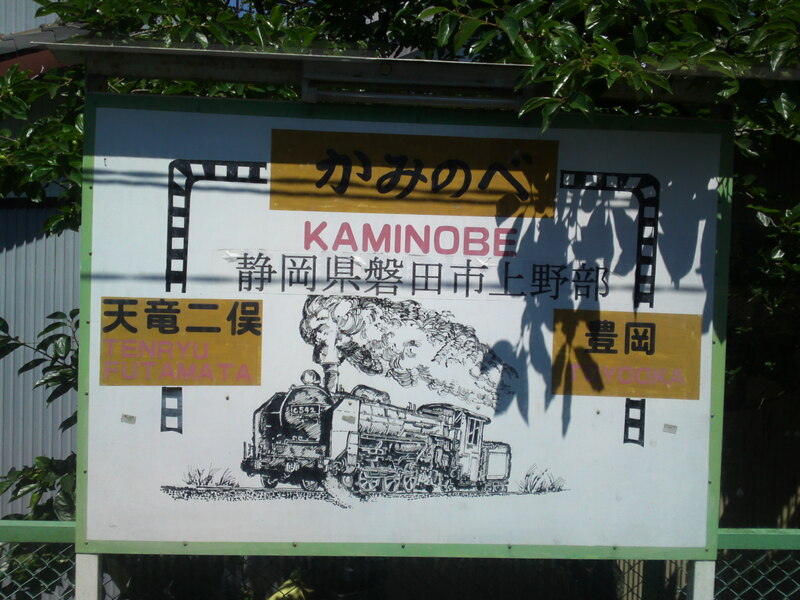 This line has been in service for a very long time as shown by this signboard in Kaminobe Station/上野部駅! 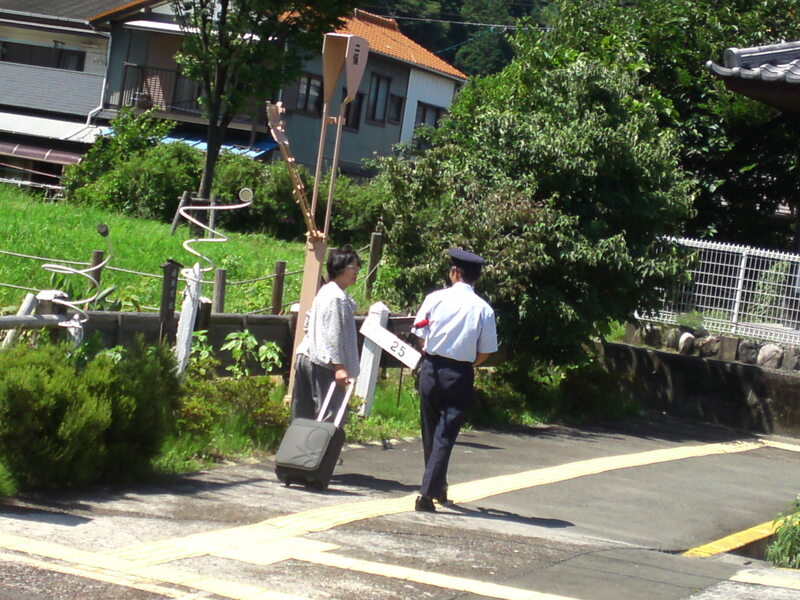 A friendly chat with a local commuter! 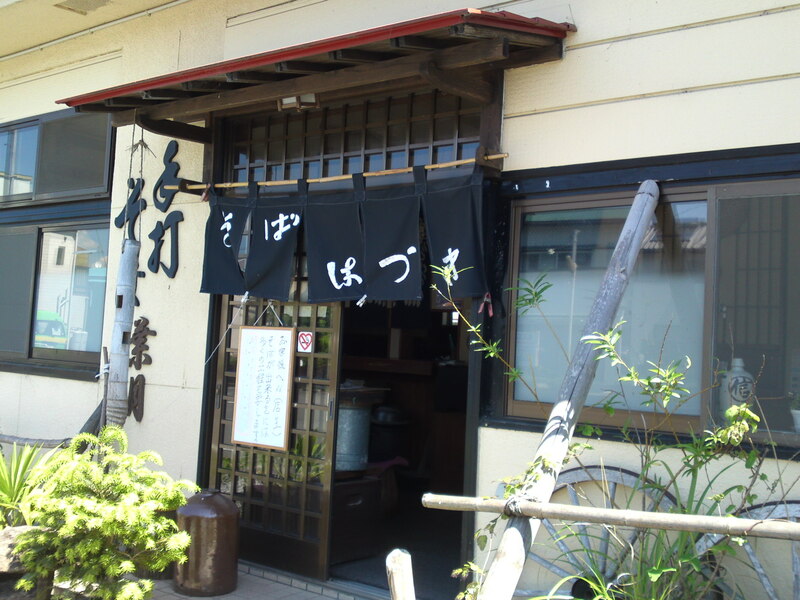 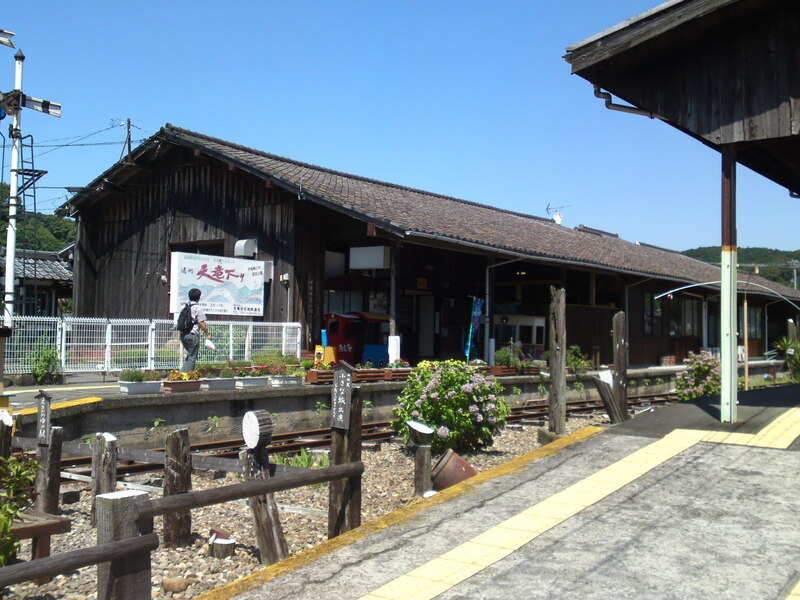 I stopped at this station (not a cultural asset) as I wanted to have a lunch in a famous if small local soba shop! 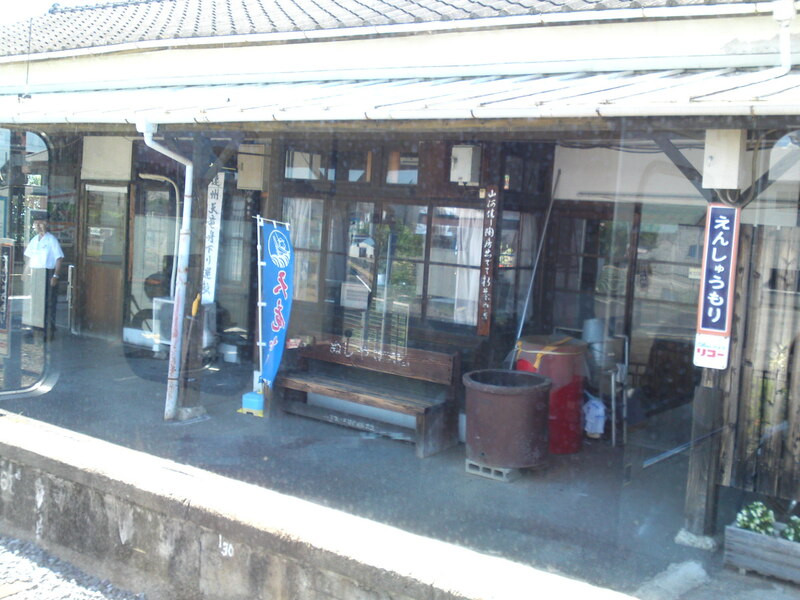 The chair all made of local wood was donated by the locals for the comfort of the travelers! 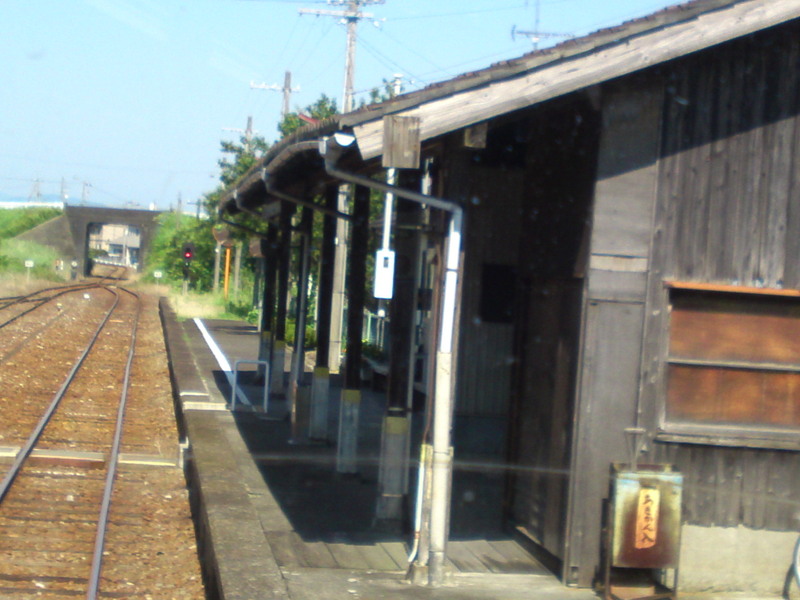 Nice old (very) small station! 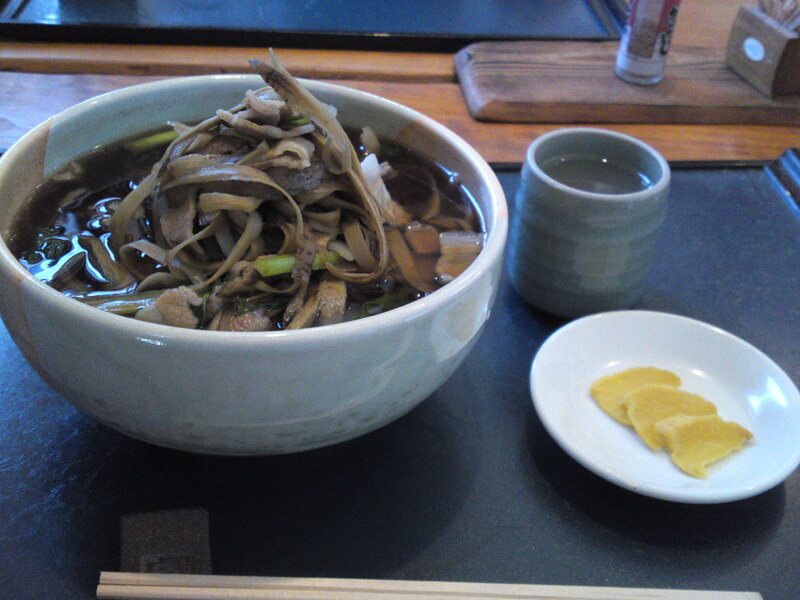 Delicious hot gobou soba/牛蒡そば/buckwheat noodles topped with plenty of local burdock roots! 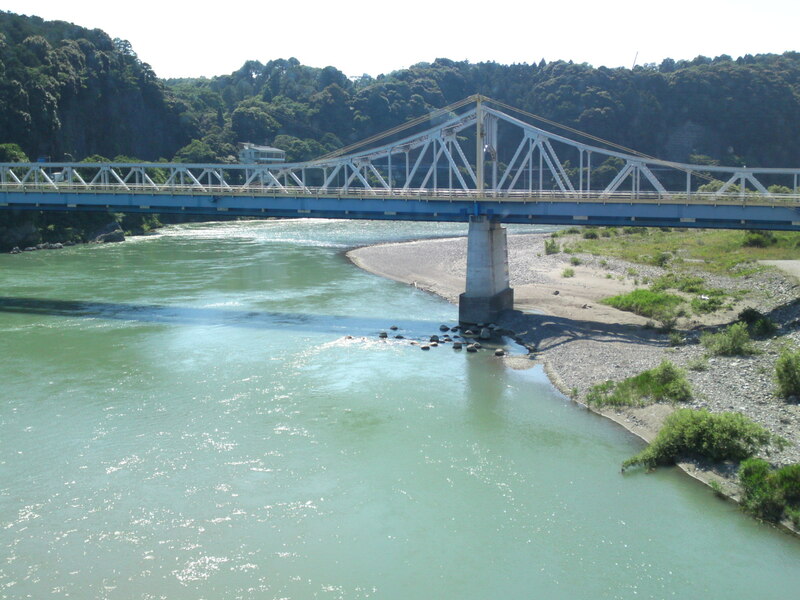 Running across the Tenryuu river/天竜川, one the main rivers in Shizuoka Prefecture! 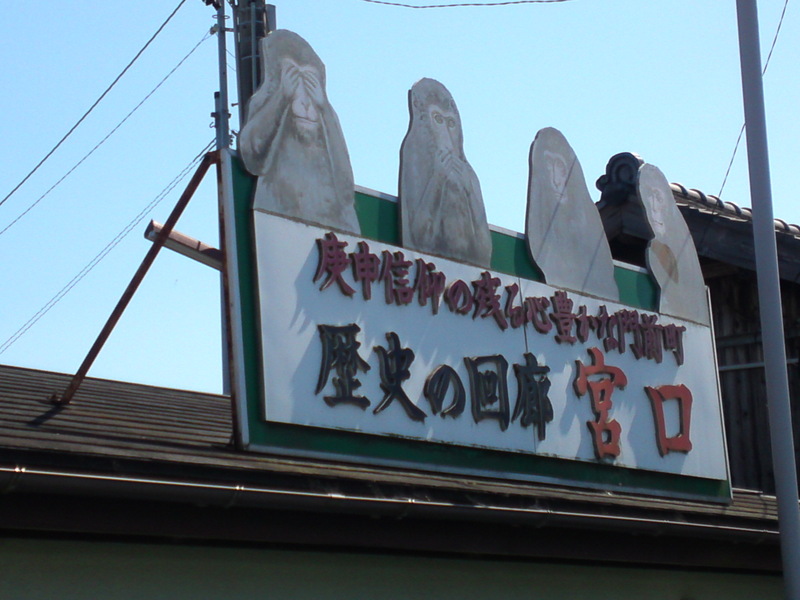 Have you ever heard of the “Three Monkeys Not Taking Responsibility of the Fourth Thief Monkey”? 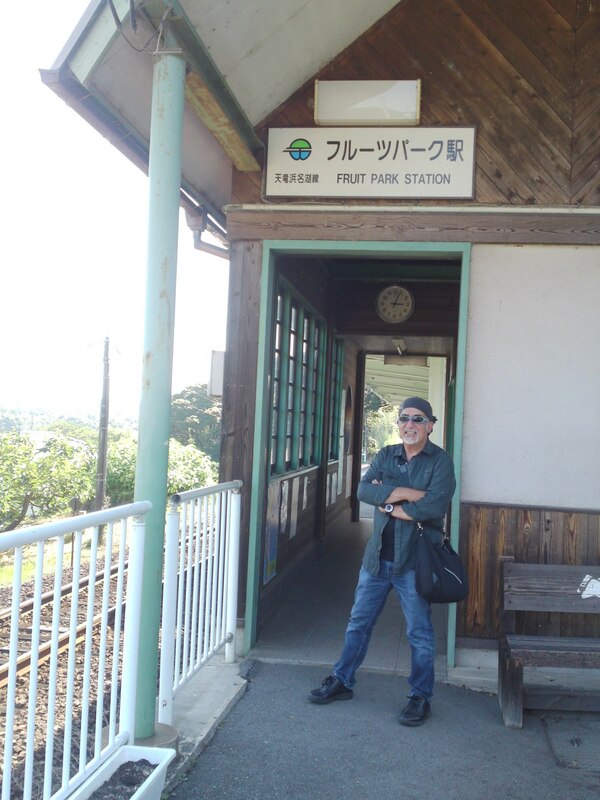 Your servant at Fruit Park Station, not a cultural asset, but still a cute little station! 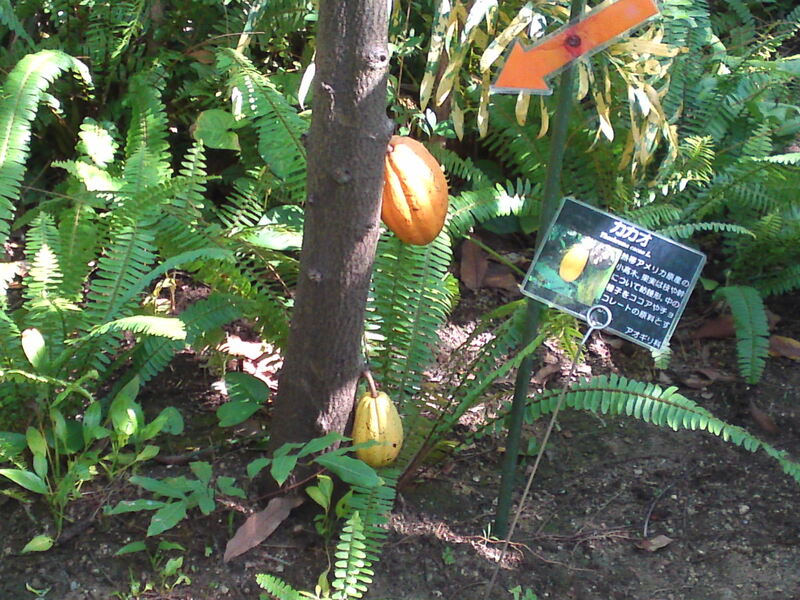 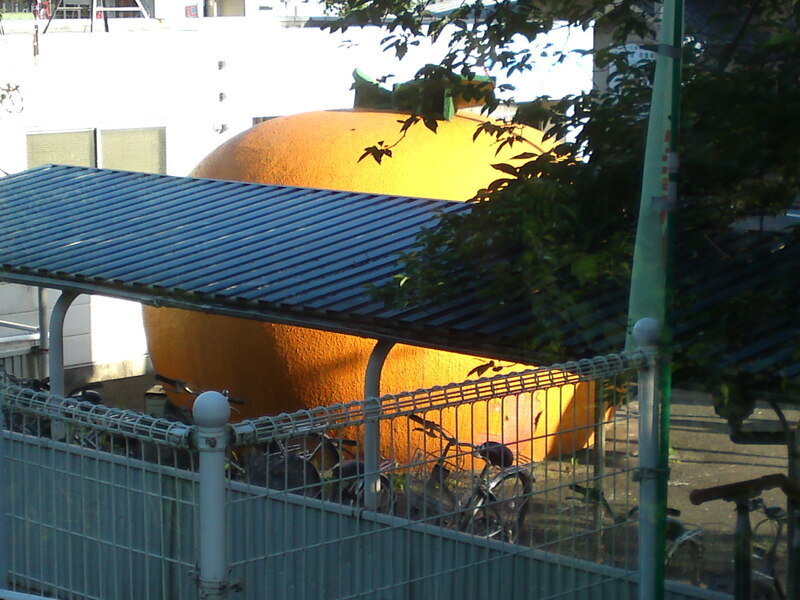 I got off there to visit the Hamamatsu City Fruit Park! 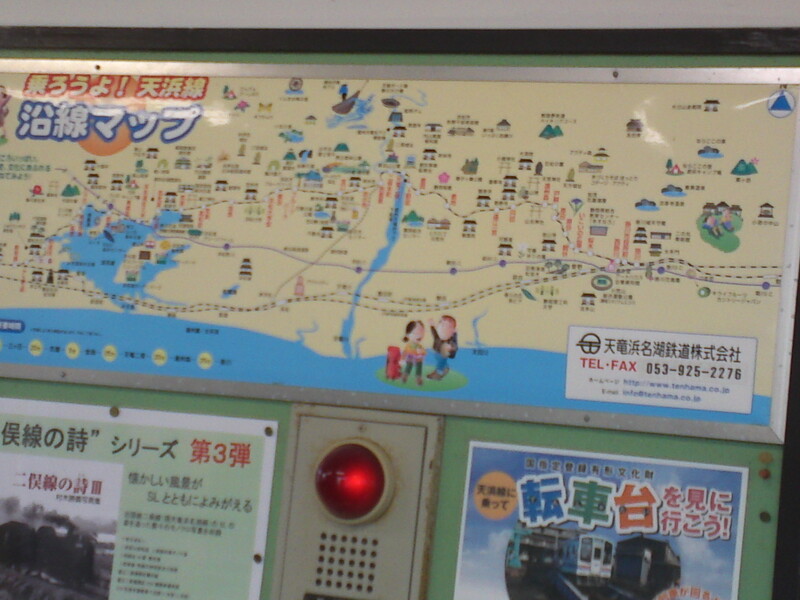 Definitely worth the stop as you will have a full hour until the next train! 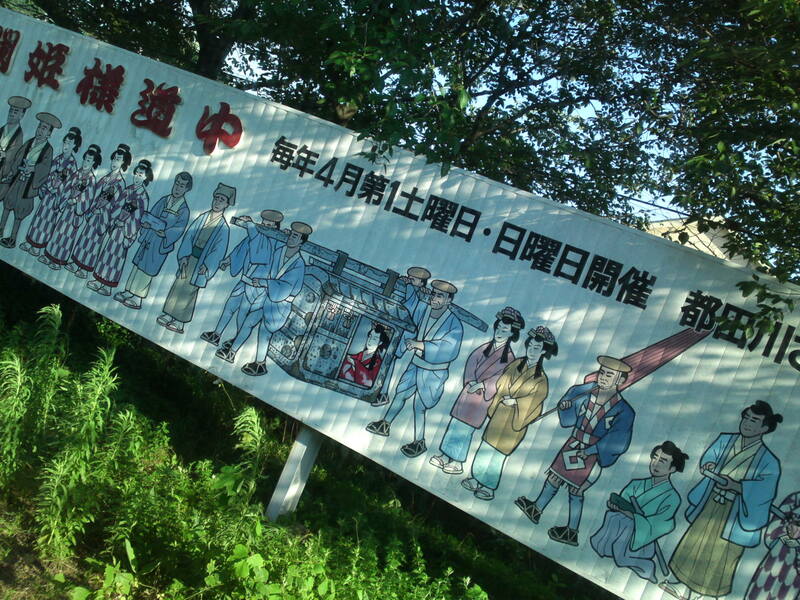 A panel announcing the Miyakoda Princess parade Festival/都田姫様遊中祭 taking place on the first week of of April every year! 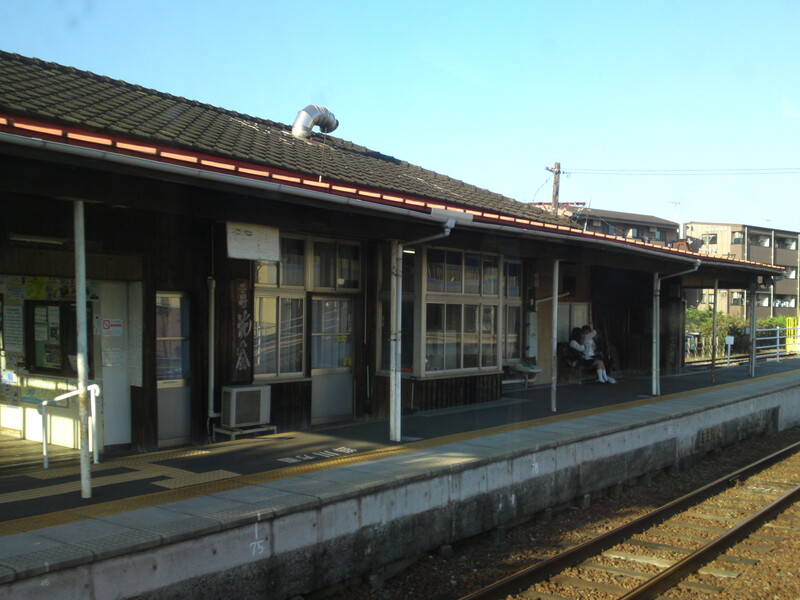 Kanasashi Station/金指駅 just after the Hamamatsu University Station! 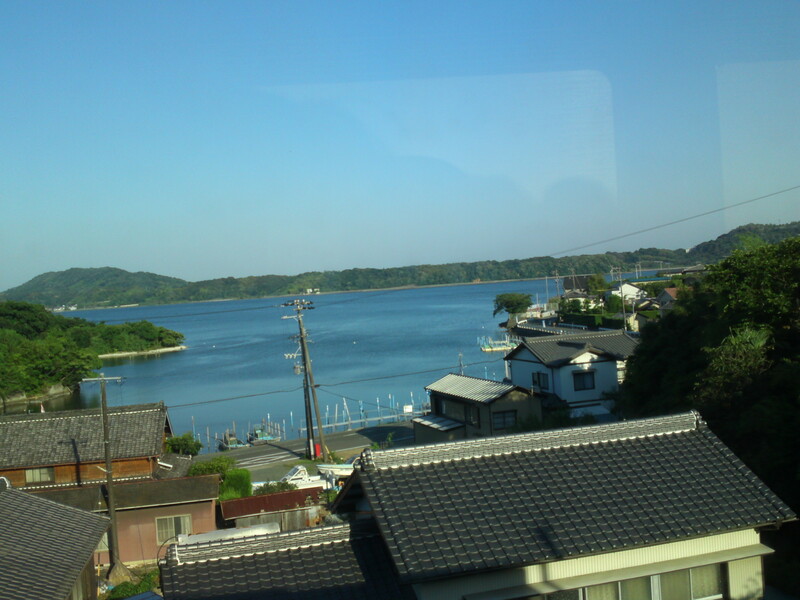 The first sight of Lake Hamana/浜名湖! 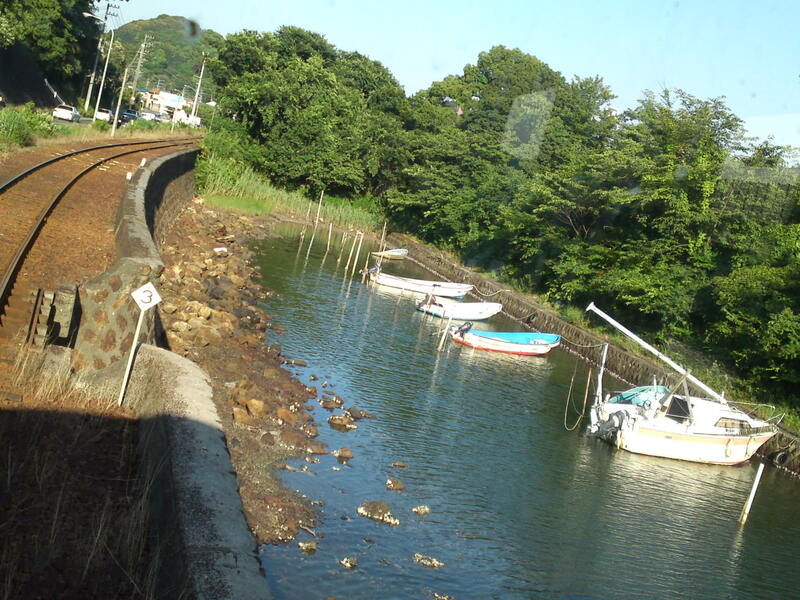 An inlet just along the track! 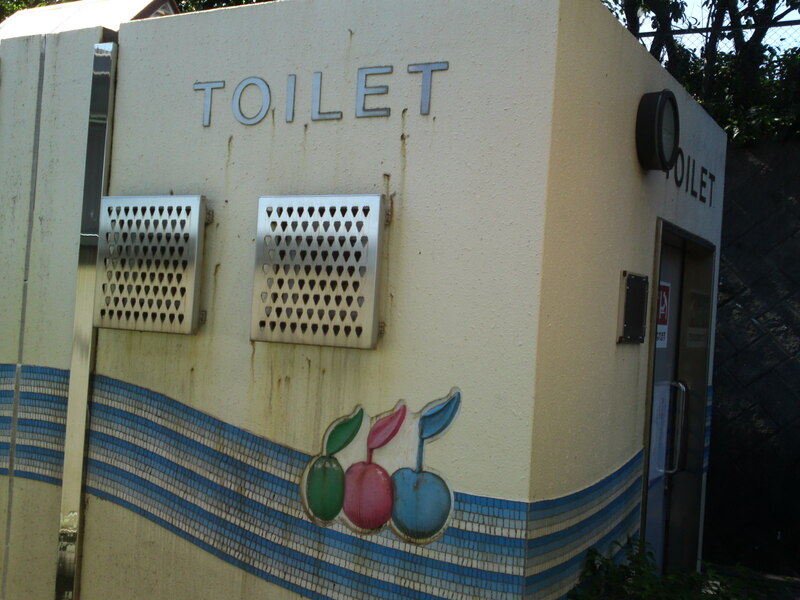 Orange toilets! 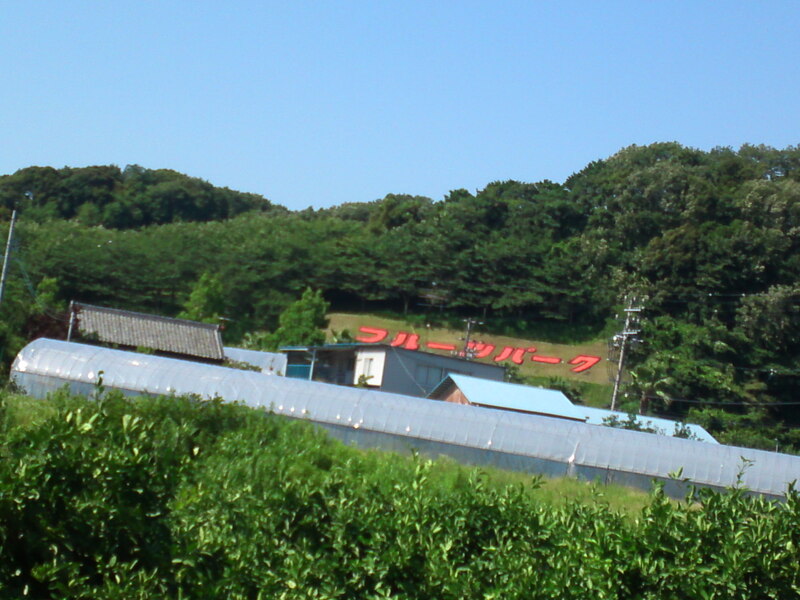 This is orange country! 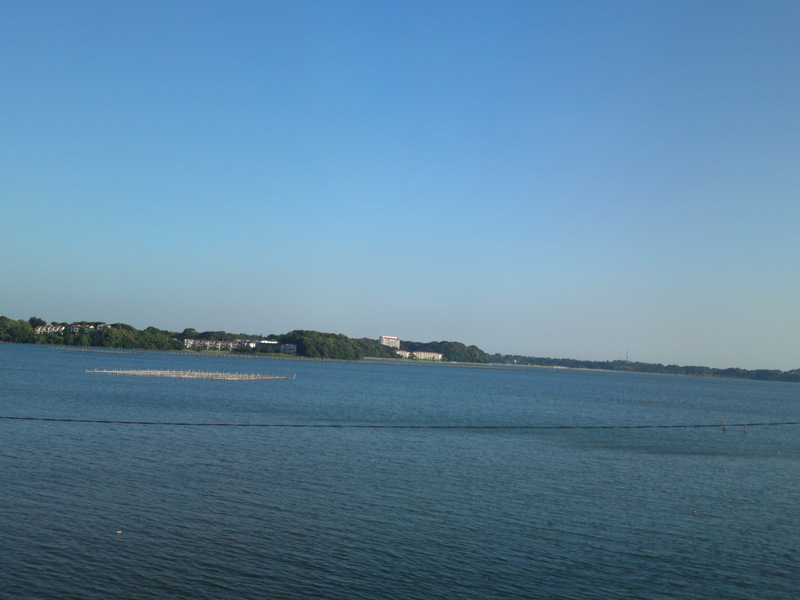 Lake Hamana is the largest salt lake in Japan, celebrated for its oysters, eels, cockles and doman crab! 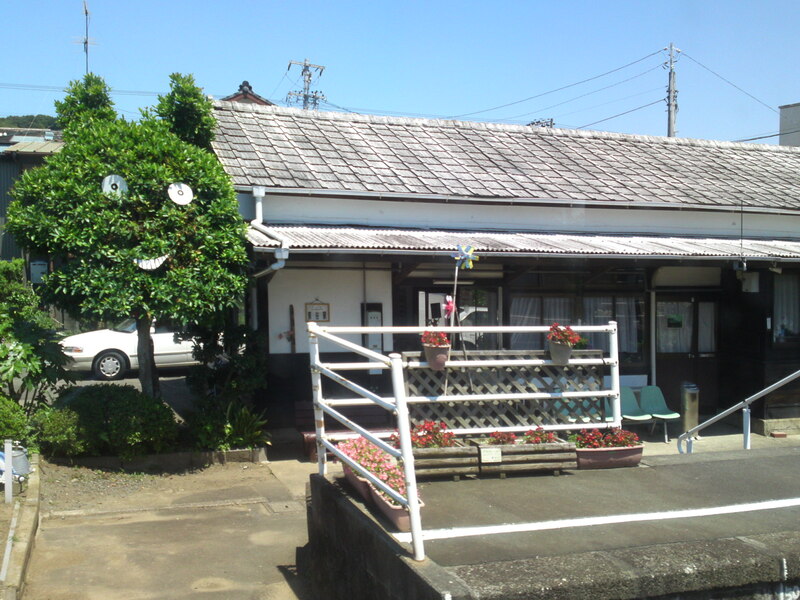 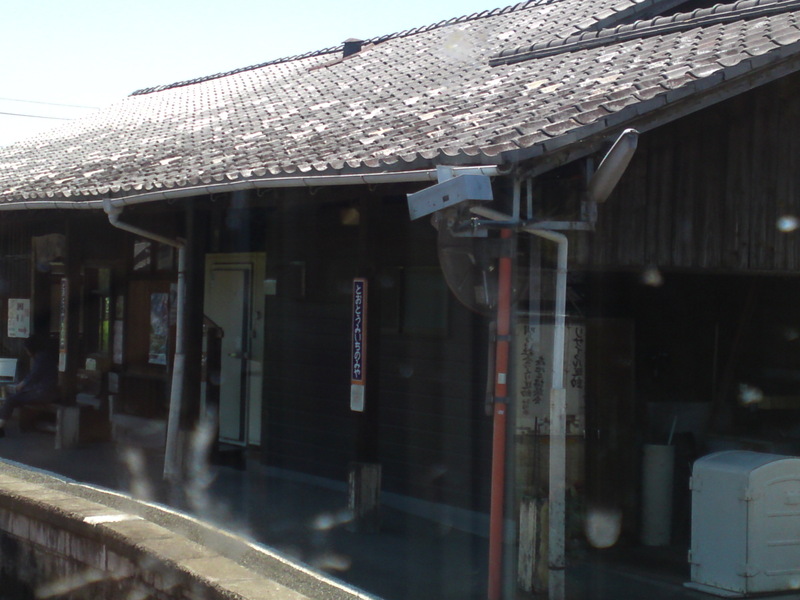 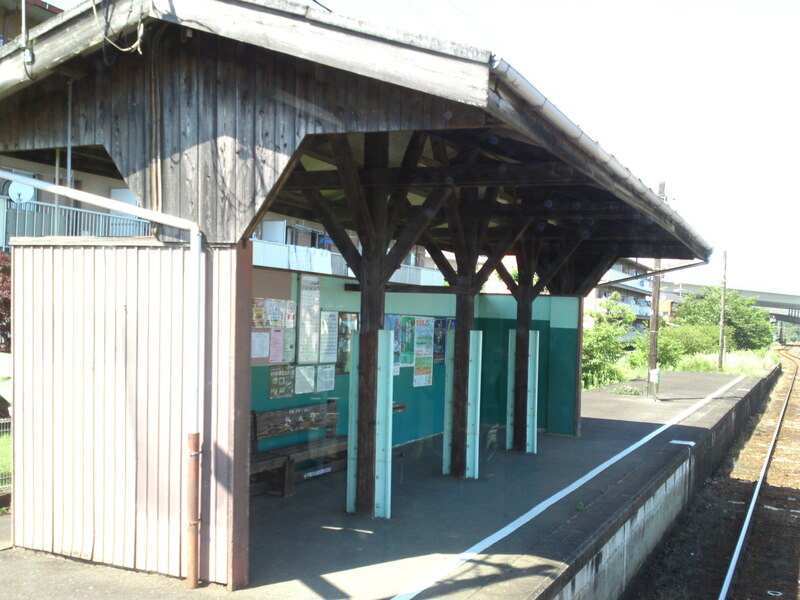 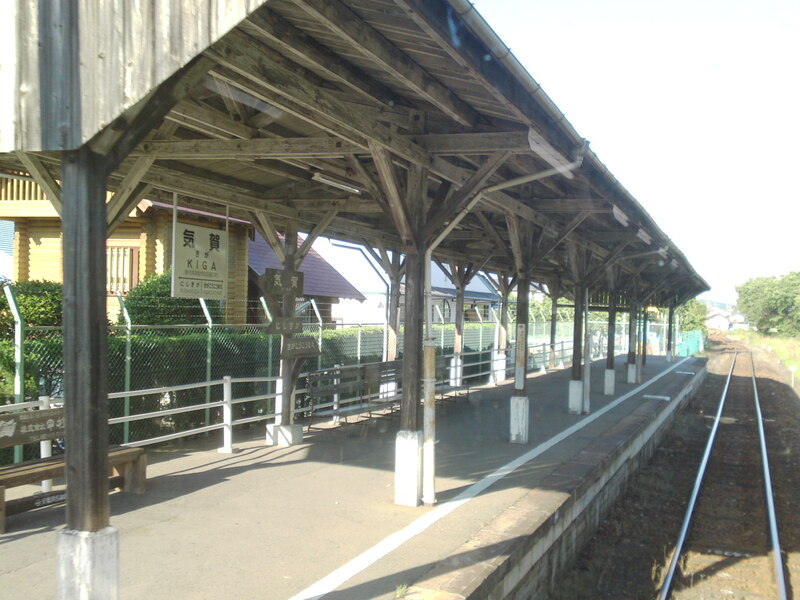 Mikkabi Station/三ケ日駅 , the last cultural asset station! 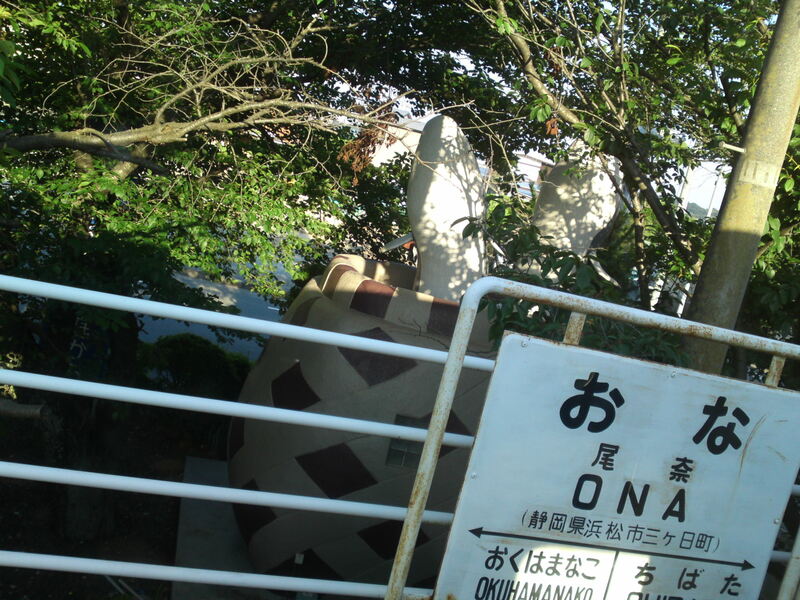 These toilets at Ona Station/尾奈駅 are not cultural assets but they represent a pot used to carry eels, the specialty of the region!